Керкинитида Евпатория история с древних времен, до наших дней Отдых и лечение в Евпатории » О Крыме - More about the Crimea. » Oreanda. Gaspra. Koreiz. a haif- rofunda. Below stretches a very old park in the midst of which lies the cluster of buildings of the Nizhnyaya Oreanda Sanatorium. In the 1820s the Romanovs acquired Oreanda (“Border”) and in 1852 a luxurious palace was built here for the Grand Duke Constantine. 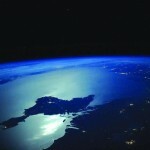 But the palace was burnt down in 1882.
the outlines of the Sea of Azov, the Black, the Caspian and the Aral Seas. On the elevation to the left of the sanatorium stands a grey church, which was built from the stones of the burnt down palace. This church is mentioned in Chekhov’s story «The Lady with the Dog». 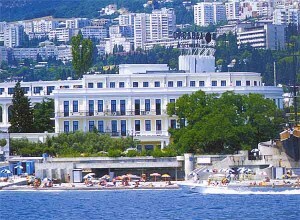 Oreanda looks like a palace, it is one of the best sanatoriums on the Southern Coast. It has been built after the Great Patriotic War. The settlement of Gaspra («White») lies off the upper highway of the Miskhor resort and is drawn in the greenery of parks. 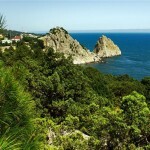 The diversity of their vegetation makes them the best on the Crimea’s Southern Coast. One of them is decorated with Antique archeological finds discovered on the Southern Coast of the Crimea. 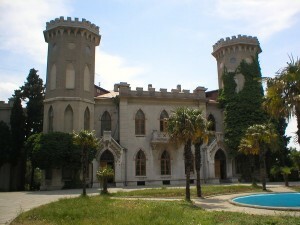 In the 1830s a palace with two towers was built by the architect William Gunt. The palace served as a starting point For the Yasnaya Polyana (“Clear Glade”) Sanatorium. 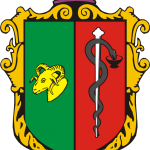 The name of the sanatorium was connected with that of a locality near Tula which is linked with the name of the great Russian writer Lev Tolstoy (1828-1910). The great writer lived in Gaspra in 1901-1902. 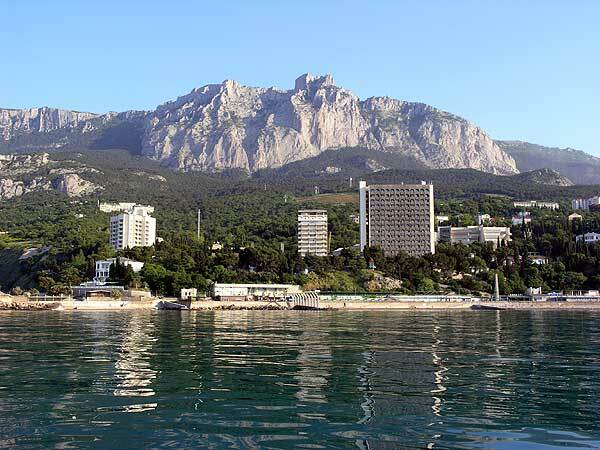 It was his third stay in the Crimea and was visited by Anton Chekhov, Maxim Gorky, and Vladimir Korolenko. In Gaspra he wrote his short novel «Khadji Murat«. 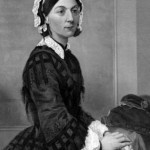 The Crimean climate helped the writer’s body successfully fight a serious form of pneumonia. When he regained his strength, Tolstoy left the Southern Coast and returned to his family estate Yasnaya Polyana. 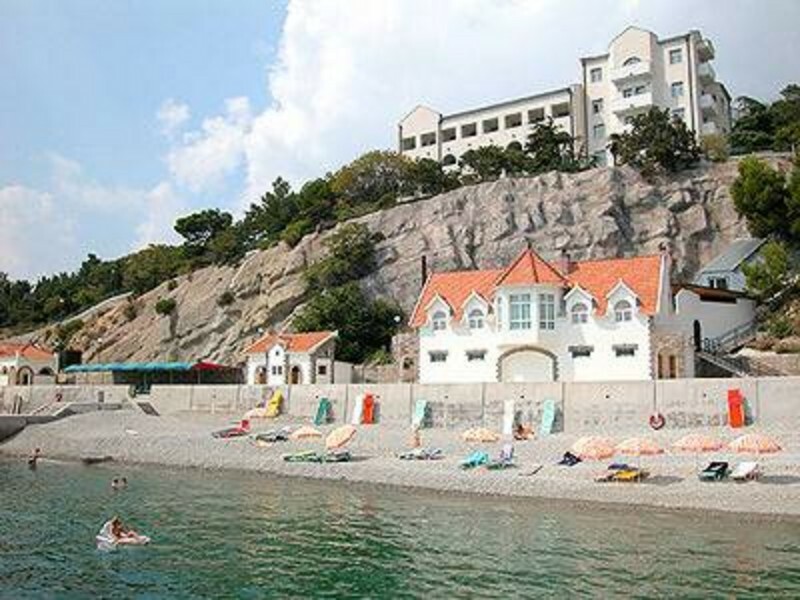 The settlement of Koreiz /Settling/ is a climatic resort of the Southern coast of the Crimea. 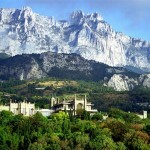 It is situated between Yalta and Alupka. Koreiz is known from the VIII century. In XIV century under the rule of the Genoese there were settlements here. Koreiz, Miskhor — these names are clearly Greek in origin. A constituent part is the word «kora» which means a settlement. The seacoast of Gaspra, Miskhor and Koreiz is saturated with modern buildings of numerous sanatoriums and rest homes. The snow-white facades of the Dyulber (“Beautiful”) Palace in Koreiz sparkle with fairy-tale splendor. The Dyulber palace was built in 1895-97 for the Grand Prince Petr Nikolayevich after the design by N. Krasnov, who had also designed the Livadia Palace. 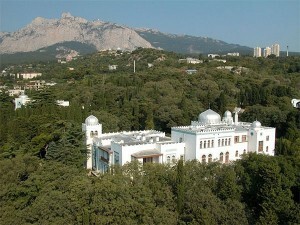 In the palace a sanatorium was opened in 1922. 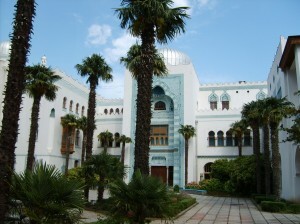 It is an asymmetrical two-four storied building comprising over 100 rooms. The sections of different heights are crowned with crenellated parapets and silvery domes. The carved stone insert and mosaic compositions stand out against the white palace walls. Monuments of the Arab Egypt of the 15thcentury served as a pattern for imitation, in particular the entrance loggia of the palace resembles the entrance to the Cairo Mosque-sepulchre of Kait-Bey. Not far from the Dyulber palace lies the Miskhor Park. 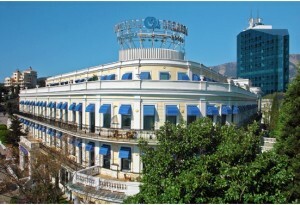 The biggest health centre in the neighbourhood of the park is the ten-storeyed Miskhor Holiday Hotel. Above the Miskhor Holiday Hotei is a modernist style palace of the grey marble-like Gaspra limestone. It is actually part of the town of Koreiz, whose territory merged with Miskhcr’s in 1958. 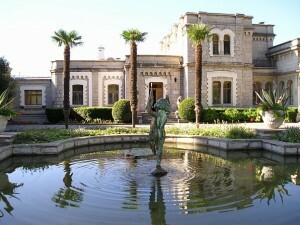 The palace was built in 1904 and belonged to prince Yusupov. It was here that the Soviet Government delegation stayed during the Yalta Conference in February 1945. 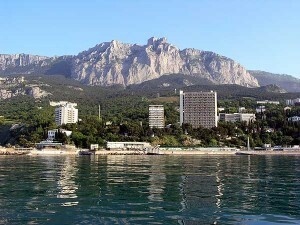 Above Gaspra, Miskhor and Koreiz rises may be the highest peak of the Southern Coast Mount Ai-Petri («St. Peter»). It rises 1233 meters above the level of the sea. The peak crowned with the jags looks like a knight castle. 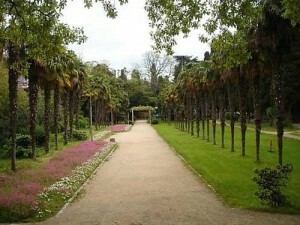 A walking tour to Ai-Petri especially to meet a new day at dawn there produces unforgettable impression on the tourists. On the way to the jags of Ai-Petri there is a well-known cave Three Eyes, its holes-exits look like three eyes. The ice in the cave does not thaw all the year round. The ascent of Ai-Petri is only for those who are well trained and experienced. On Ai-Petri stands a monument to the fallen partisans of the Yalta partisan detachment. Not far from the jags of Ai-Petri a powerful retransmitted was set up 1290 meters above sea-level.